Coffee is one of the hardest things to get people to give up when trying out a healthy diet. 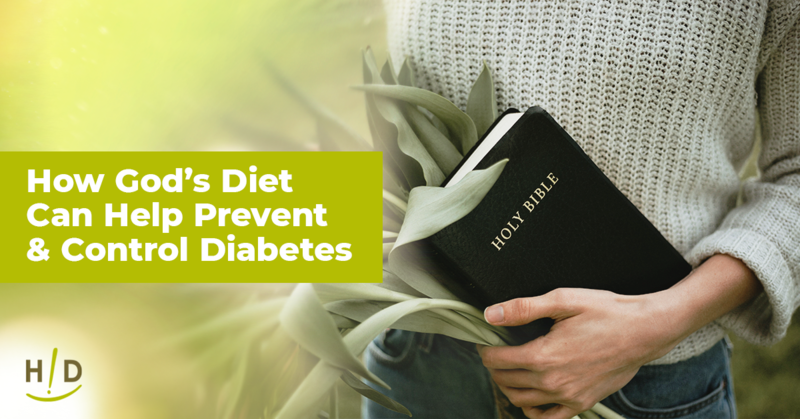 It’s not something we recommend on the Hallelujah diet. Coffee is very stimulating, and some of the additives used for processing it are just not healthy, especially the flavors and preservatives. This is why coffee substitutes are so sought-after. Many commercially available herbal coffees taste awesome and are healthy for you. We have a great one here on our website that’s both healthy and nutritious. You have to realize that herbal coffees are not coffee. They will not taste exactly the same, and they will not give you a sudden boost. They often tend to be bitter, mimicking coffee, and they may give you longer-lasting energy. Most of them are far more nutritious and provide detox potential. Herbal coffees are not tea. Most of them do not contain the tea leaf (Camellia sinensis) or any caffeine. These coffee substitutes are technically decoctions of roasted roots of different herbs. 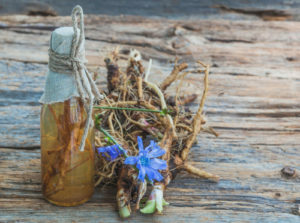 Most of the herbs used are burdock, dandelion, and chicory. Some places will also add ashwagandha and maca, along with cinnamon, carob, and vanilla. As you get further into the herbal blends, things like orange peel, hibiscus, and cardamom are added for more vibrant flavors. 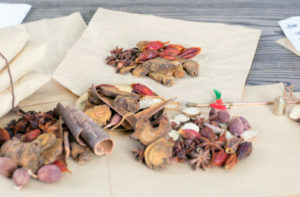 You have the option of purchasing many of these herbs at local natural food stores or from quality providers online and roasting and grinding them yourself. All of these herbal coffees are much healthier than traditional coffee. Depending on the type of herbs you use, the results will vary. Let’s look at some of the top nutritional benefits of herbal coffee. Coffee has some health properties, but not nearly as many as herbal coffees. It’s not just vitamins and minerals that they pack, but the antioxidant potential is also sky-high. Chicory is unusually high in beta-carotene, a vitamin A precursor. Just one tablespoon of chicory root can provide 10% of your vitamin A for the day. It also contains a significant amount of manganese, B6, potassium, vitamin C, phosphorus, and folate. Chicory is an excellent source of inulin fiber that helps clear out the digestive system and helps us to absorb nutrients. It helps reduce insulin resistance in people with prediabetes and diabetes. Chicory is awesome, and it is especially useful for helping to relieve inflammation. 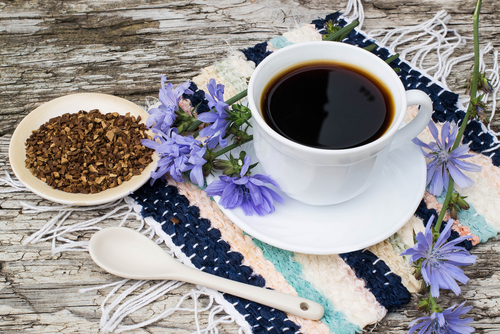 Chicory is one of the primary components of herbal coffees because it’s very similar in taste to the coffee bean. During the Civil War, chicory coffee became the primary drink in the South as tea and coffee supplies were cut off. Dandelion root, another popular coffee substitute, is high in fiber and all of the vitamins, plus iron, calcium, magnesium, and potassium. It’s also rich in inulin. It has one of the highest antioxidant potentials of the roots. Dandelion is especially good at detoxing the liver. By helping to clear out the liver, it also helps control blood sugar and reduce inflammation. What surprises many researchers is dandelion’s ability to reduce heart disease derived from cholesterol, and how it leads to blood pressure reduction. Dandelion is a mild diuretic and can help reduce excess fluid in the body. However, unlike most other diuretics, it does not reduce levels of potassium in the body, making it much safer to use. Burdock is a favorite food, especially overseas in Japan. Growing a plant with huge roots is effortless, and it cooks up tender. Burdock contains inulin and mucilage that help soothe the digestive system and help digest food so you can absorb nutrients better. It is one of the most perfect roots for electrolyte balance, as burdock contains 6.5% of our daily recommended amount of potassium per 100g, a typical amount used in herbal coffees. It contains trace amounts of nearly every vitamin and mineral we know of, plus an insanely high amount of antioxidants. It’s especially good for cleaning the blood. 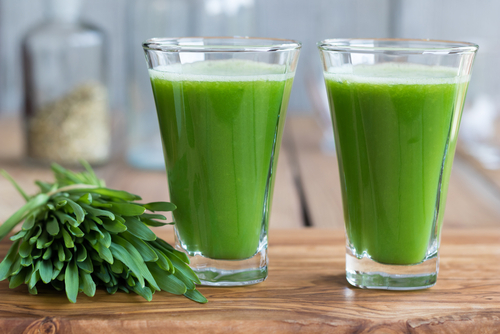 It helps expel toxins, excess fluid, and congestion from our bodies. When you put all this together, you get a natural health drink that helps boost energy without over-stimulating our senses. It works naturally by providing nutrients our bodies can use. People don’t experience the stimulation and the later crash that come from drinking coffee. 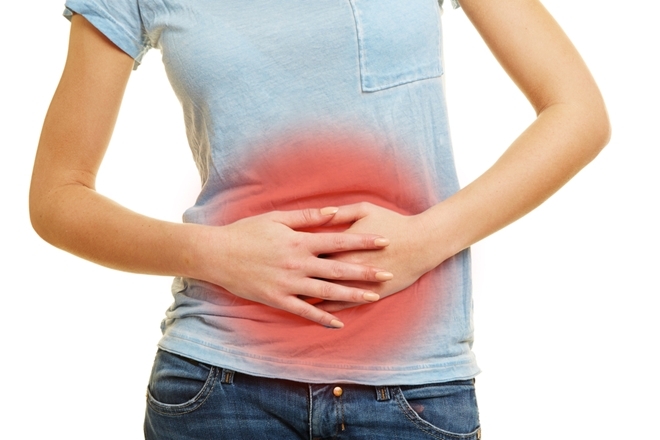 Furthermore, herbal coffees support the natural probiotics within our gut. Caffeine is a harsh chemical that can cause problems in the gut. It’s high in acid and can cause reflux and indigestion. However, herbal coffee soothes the digestive system and promotes good gut health. Herbal coffees are a distinctive change from your regular coffee bean. However, they are healthier and better for you. They can provide nutrition and energy that you just can’t get from a regular cup of coffee. When part of a healthy diet, you can enjoy this herbal coffee without feeling guilty or experiencing any of the issues that come from regular coffee.